SigMusic is dedicated to the study and production of electronic and computer music. To keep informed of our current activities, subscribe to our mailing list. SigMusic currently meets at 8pm on Wednesdays in the ACM office. Human Cosmos is an exploration of human computer interaction, visualization, and sonification, through an alternate physics medium. 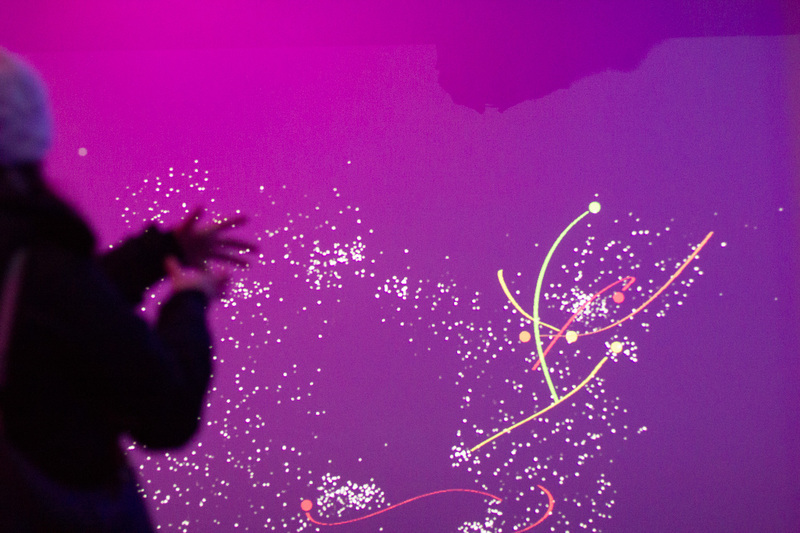 Built using Processing, PureData, Kinect and OpenNI, as well as a custom made lighting system, Human Cosmos is designed to create an immersive experience for the eyes and ears. 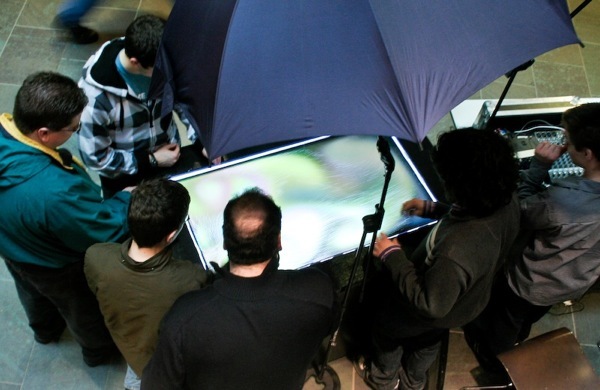 Tacchi is SigMusic's 46" fully multitouch table. Complete with 2 cameras and 4 lazers, Tacchi is capable of unlimited users. SigMusic first unveiled Tacchi at Engineering Open House in 2010, winning "Best Undergraduate Student Research" as well as the Lockheed Martin Computer Science Award.